When it comes to preventing campus sexual assault, it’s not just campuses who are concerned. Just as many different individuals, institutions, and communities exist on campus, many different systems and entities necessarily address campus sexual assault prevention. Case in point? 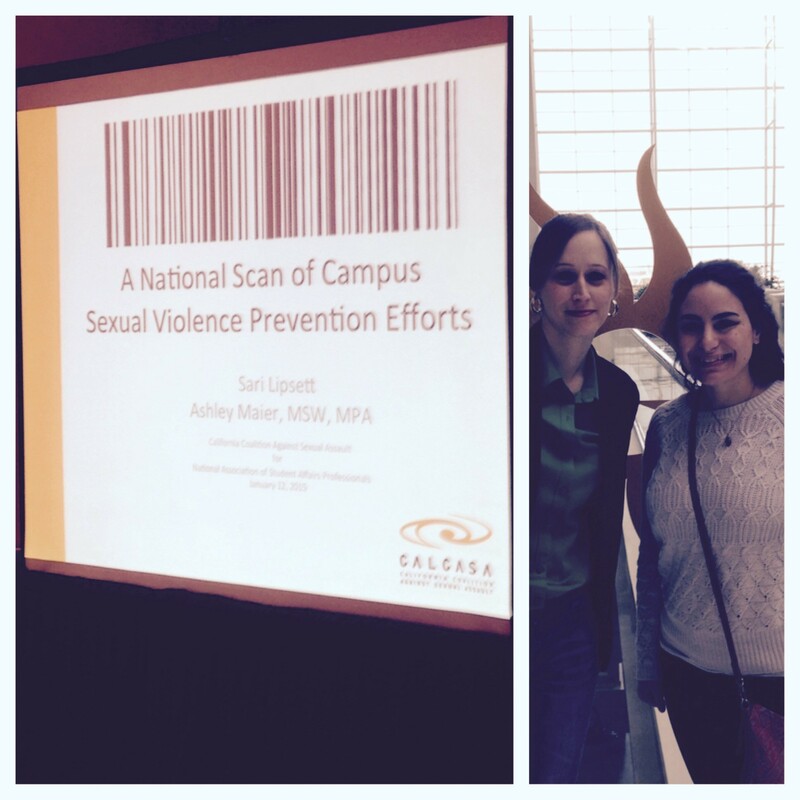 My CALCASA colleague, Sari and I, presented at the National Association of Student Affairs Professional’s (NASPA) violence prevention conference this week. “As a technical assistance provider working with campuses around the country it was very helpful to attend the NASPA conference and get the chance to hear from universities about promising practices and current programs being utilized. NASPA also offered the opportunity for campuses to network with one another and help each other troubleshoot through peer learning,” Sari said. Clearly, professional membership organizations play an essential role in informing the prevention efforts of campus faculty and staff. As attention to campus sexual violence continues to increase, our partnerships with these entities will yield healthier, safer campuses. For more on campus-based prevention efforts, visit PreventConnect’s podcasts and web conferences, and explore CALCASA’s resources.